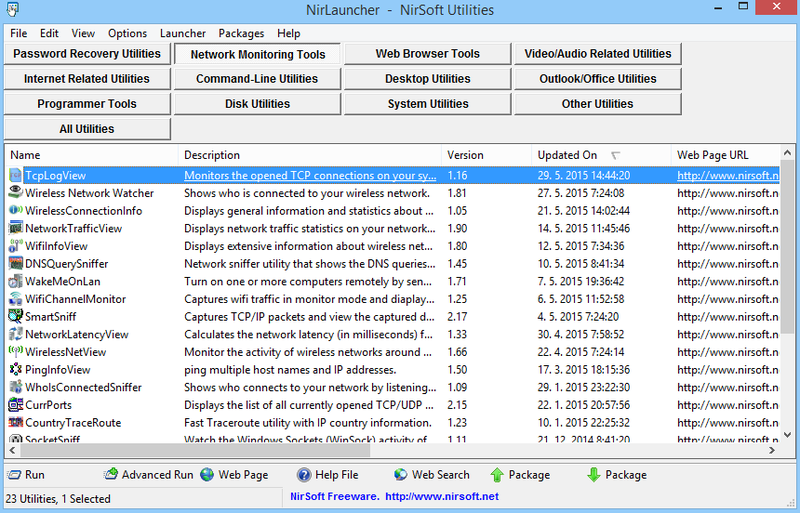 FICILITY.NET | GroupBlog – Exchange, PowerShell, AD, Outlook etc. GroupBlog – Exchange, PowerShell, AD, Outlook etc. Easy? Yes, but I always forgot how I did it, so that is why I posted it. 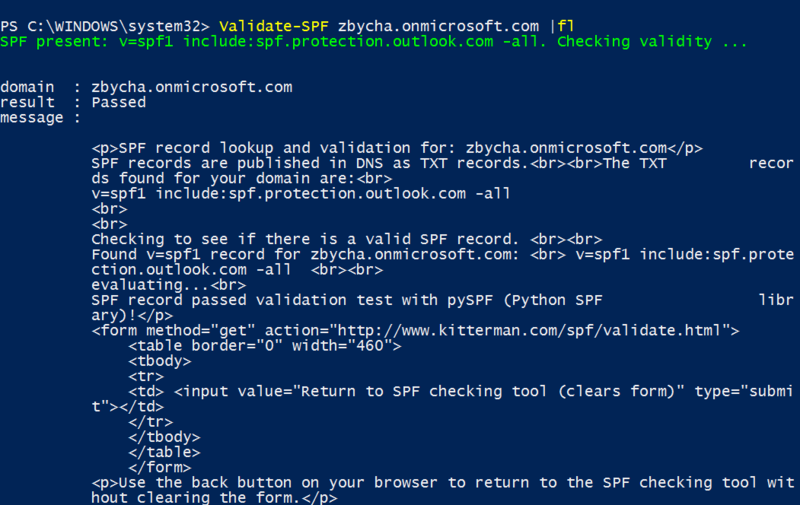 I have created a script to validate SPF records of your domains against kitterman´s WEB site. Import functions Get-DNS and Validate-SPF into your Powershell profile or Powershell session. Use is very easy. run Validate-SPF <domainname>, it returns if SPF is valid (PASS), invalid (FAIL) or not present (OK) and kittermann´s message as an object. My colleague made me happy when he described an easy procedure how to import Exchange cmdlets into PowerShell ISE so let me share it here. Connect to an Exchange server, run Exchange Management Shell and find folder location for Exchange cmdlets by Get-Module and path property. 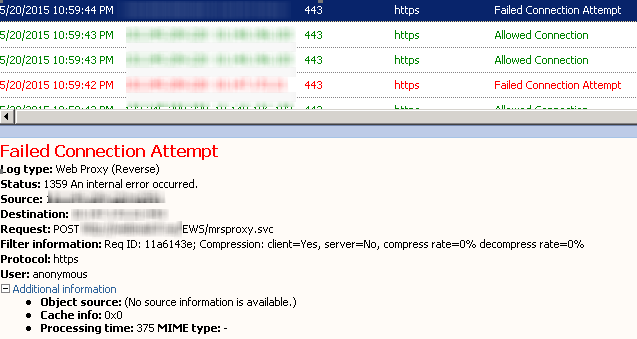 I have just noticed an issue with Exchange 2010 based hybrid and AADSync. On-prem AD account has assigned on-prem mailbox as well as remote mailbox (Exchange Online – O365). Yes, it seems to be possible, but only technically, because mailbox functionality is broken from end-user point of view at this point. According my investigation it was caused by wrong procedure by mailbox creation. SD created remote mailbox , ran AADSync, disabled remote mailbox, forgot to run AADSync and created on-prem mailbox immediately. So what to do then? We have to ensure only one mailbox either in Exchange Online or Exchange On-prem so based on our needs. I decided to keep on-prem mailbox, because it was used by affected end-user. Well, I exported all mailbox data from remote mailbox to PST file. There are a few possibilities how to do it e.g. via Outlook or eDiscovery search. I wanted to expert all available mailbox data including dumpster so I preferred eDiscovery approach (be aware to have mailbox still enabled during that time). When I had the PST I quickly removed remote mailbox and account from Azure AD Recycle Bin. After that I imported the PST into on-prem mailbox and ran AADsync to ensure mail user object in O365. 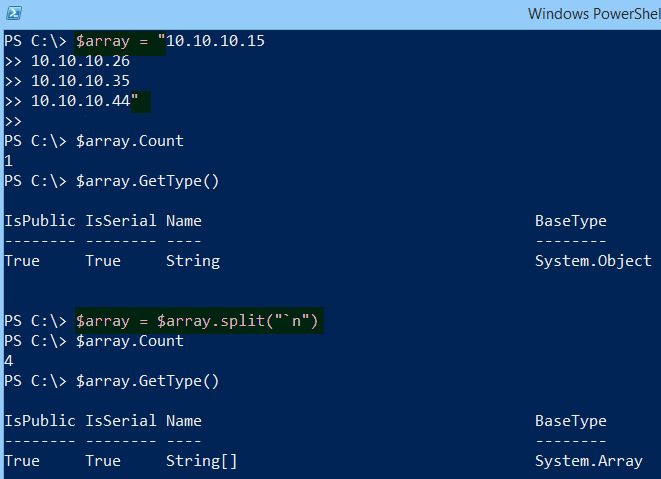 Very easy procedure how to get string array from listed items from somewhere (e.g. txt file). Of course there are a lot of other possibilities how to declare the same array e.g. 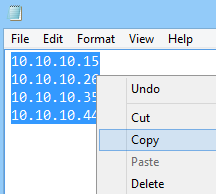 $array = @(“10.10.10.26″,”10.10.10.35″,”10.10.10.44”), but anyway the paste option is useful thing ;). the remote server encountered an internal error. Message : The connection to the server 'mail.ficility.net' could not be completed. the remote server encountered an internal error. The call to 'https://mail.ficility.net/EWS/mrsproxy. r returned an error: (500) Internal Server Error. Mail.ficility.net pointed to TMG with enabled custom web security filter.